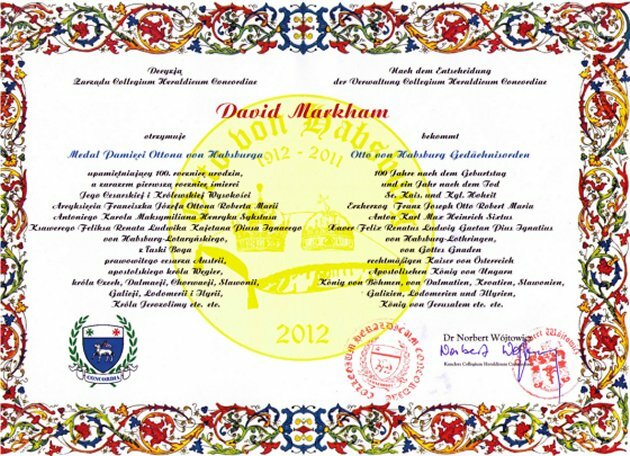 In November, 2011, INS President J. David Markham was awarded the Otto von Hapsburg Merit Medal. 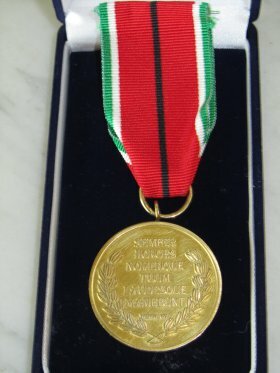 He was nominated for this honor by Count Artur Wójtowicz of Poland. The award was constituted by the Polish aristocracy and is given to no more than 50 people every five years to recognize special contributions in the areas of Culture, Science and Art. Others to receive this award include the Prince of Liechtenstein, Prince Albert of Monaco, Prince Napoleon and a number of Polish princes. 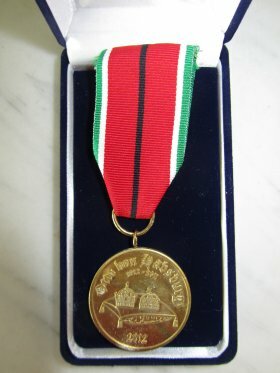 The award is given under the auspices of the House of Habsburg. President Markham expresses his deep gratitude and sense of honor at having received this award to Count Wójtowicz and the House of Habsburg.